Beautiful Red Audi TT S-line speeding down the road. 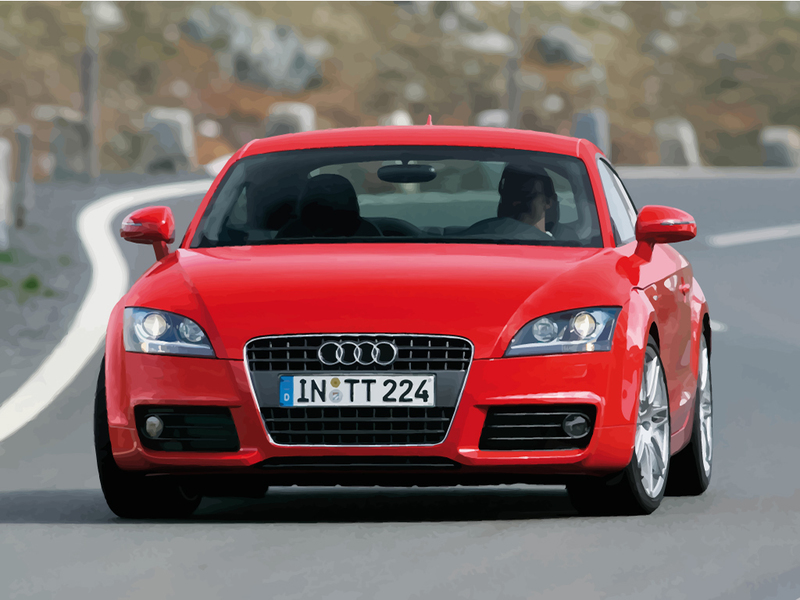 Download free vector of the sleek and stylish Audi TT S-line and visit our wallpaper gallery for more car images. The 'S' in S-line stands for sport. The car is equipped with larger aluminum wheels for a sporty look. Original wallpapers are © of respective artists.